Puerto Rico home to over 105,000 veterans. 11% are Post-9/11 veterans. Puerto Rico is home to over 105,000 veterans and 11 percent of Puerto Rico’s veterans are post-9/11 veterans). The U.S. Virgin Islands, which include St. Croix, St. Thomas, and St. John, are home to around 4,500 veterans. Hurricane Irma, the Category 5 hurricane that hit Florida a week and a half ago, affected both Puerto Rico and the U.S. Virgin Islands, and as Hurricane Maria’s effects throughout Puerto Rico and the U.S. Virgin Islands are just beginning to be felt, IAVA is once again standing at the ready and standing with our brothers and sisters braving yet another massive hurricane. As of Wednesday afternoon, the previously-battered islands are reporting widespread power outages and flooding. 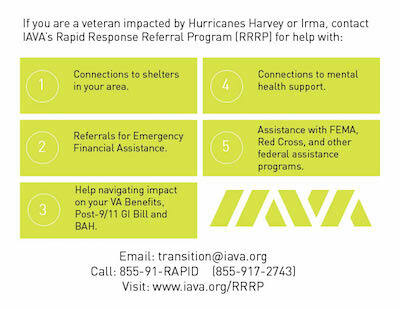 IAVA is here to do all we can to support those looking to engage and stay informed on the impact of Hurricane Maria. 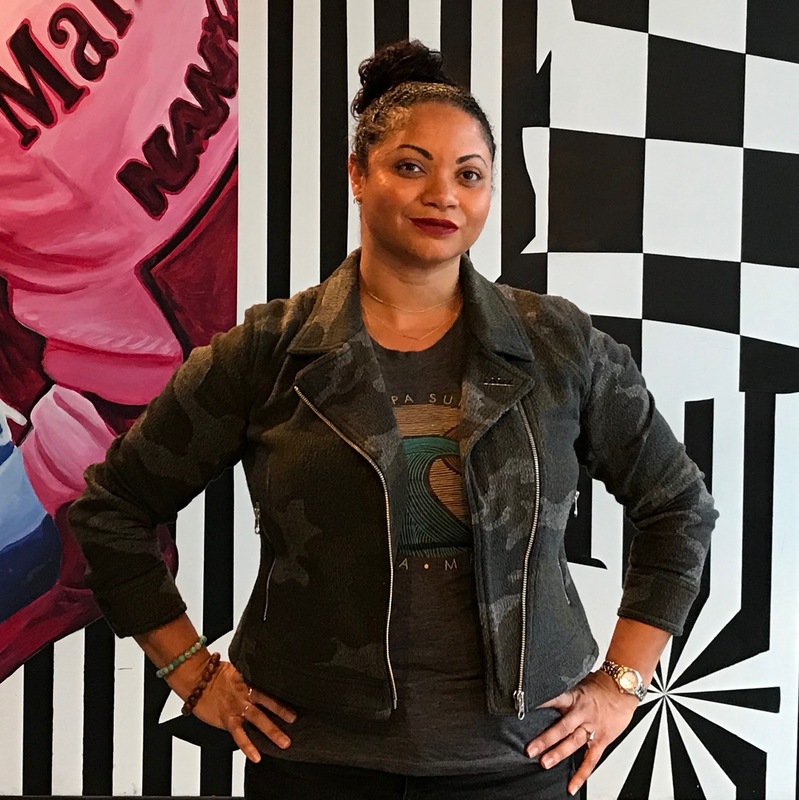 To our veteran family in Puerto Rico and the U.S. Virgin Islands, IAVA is here to support, empower and connect you with the resources you need. Today and everyday, IAVA stands with you. VA – Click here for updates, and call the Telecare Call Center at 211 for further assistance. Disaster Assistance – residents and business owners in counties who sustained disaster related damage due to Maria can apply for assistance by registering online. Follow IAVA on Facebook and Twitter, where we’ll continue to ensure that veterans impacted remain in the conversation in the coming months and years. If you want to get involved in reinforcing veteran efforts on the ground, join and support our incredible friends at Team Rubicon USA. As we have learned from Hurricane Harvey and Hurricane Irma, once the storm clears, the work begins. IAVA will be here through it all. Together, we will rebuild and recover.